A delightful garden Picnic Table that doubles as a sand table. 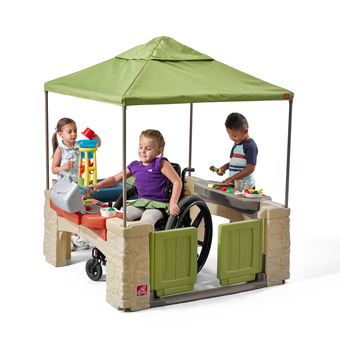 Enjoy safe sand play as four children easily play together around this raised sand box. 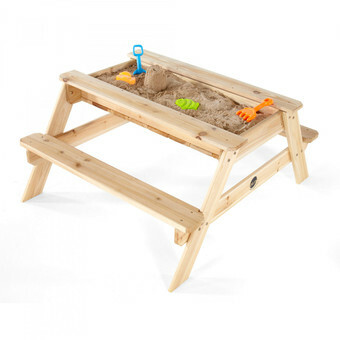 When sand play is finished, simply add the lid and transform the sand table into a traditional garden picnic table where up to four children can comfortably eat snacks, lunch or have their own garden table when the adults have their barbeque! 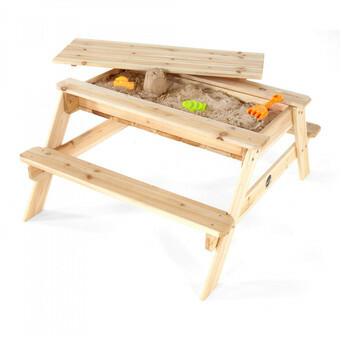 Let their creativity run wild, digging, building and making unique shapes in the sand. 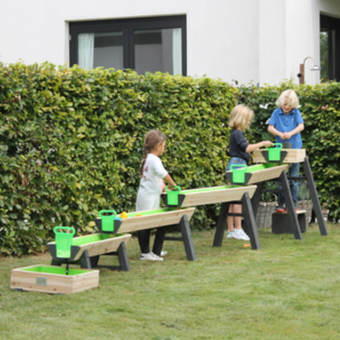 The premium FSC® certified timber ensures this sand box blends into any garden design and the table has rounded corners for added safety. 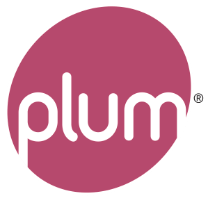 A multi-purpose item from Plum® with a small footprint, ideal for compact gardens or for patios. Great size, good and sturdy. East to put together. 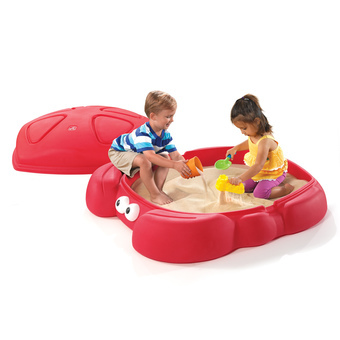 Q: Does the table lid include a waterproof cover to keep the sand in the sand piy dry? 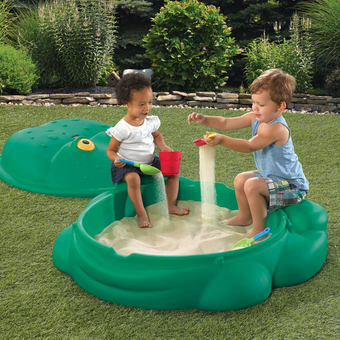 A: This item does not include a waterproof cover. If you would like to cover this, I would recommend buying a garden furniture cover. 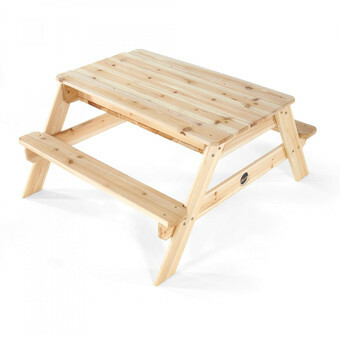 Q: Is the wood treated to protect from winter, or is it bare wood that will need treating once purchased? 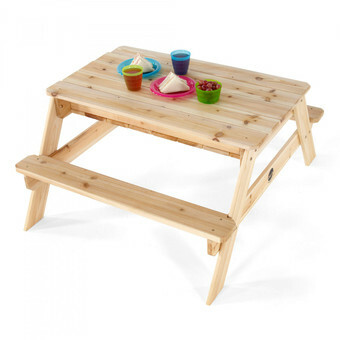 A: The wooden picnic bench is made from sturdy FSC certified Chinese Fir timber, which is treated for long-lasting protection from the elements! Need to know something about the Plum Wooden Sand and Picnic Table? Leave your details and your question below and we'll email you the answer soon, as well as publishing the answer for future customers in the Questions section!